Sometime in the early 21st Century, humanity was plagued by not one but two incurable diseases. That was until a group of brilliant scientists realized they could use one to fight the other. That’s right: they’re trying to cure cancer with HIV. 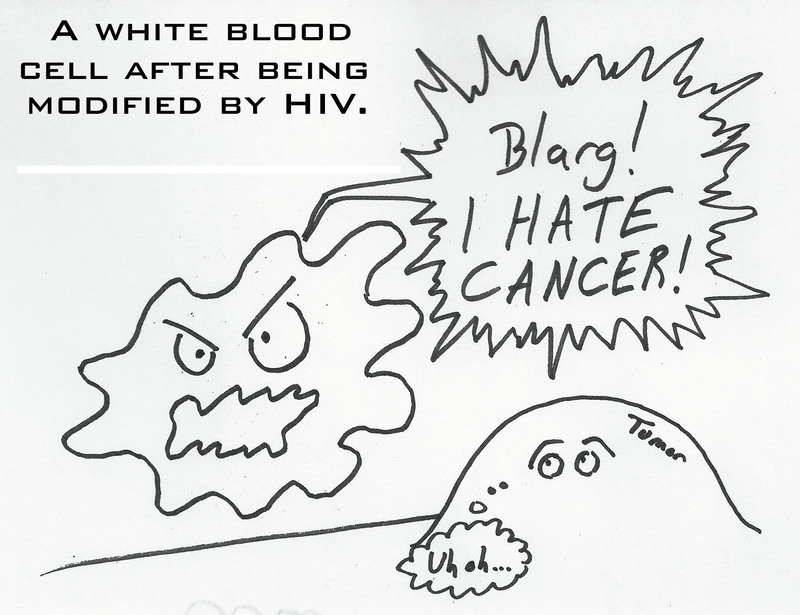 Basically, modified HIV infects T-cells (white blood cells) and reprograms them to target cancer cells. The reprogrammed white blood cells go crazy, slaughtering every cancer cell they find. In at least one test patient, five pounds worth of cancer was destroyed! If we’re living in a science fiction novel, this is one plot twist I never saw coming. Click here for the full story. Posted by J.S. Pailly on August 29, 2011 in Uncategorized and tagged AIDS, Cancer, HIV.